The best way to save extra money, is to match up a Store Coupon to a Manufacturer’s coupon on every item purchased. The only problem is finding enough Store Coupons and Manufacturer’s coupons to match! Each month we issue a coupon booklet at County Market for items that are deeply discounted. It’s our monthly Penny Pincher booklet. We want you to find a manufacturer’s coupon to match. These booklets come out around the 3rd week of each month. They are delivered by direct mail. Your postal delivery person will be able to tell you which day the coupons are arriving to your mailbox. Stores do not get lots of extra copies of the Penny Pincher booklets. Part of the contracts made with the vendors featured in the Penny Pinchers is that they issue all booklet by direct mail, and one per household. Likewise, your postal person is not allowed to hand you extra copies. However, we do trade may Penny Pincher coupons at our local club. 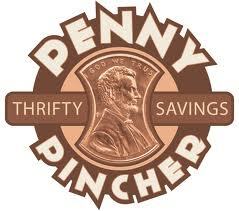 When you use your Penny Pincher coupon, the deduction or price adjustment is scanned off of a store barcode. That will only happen for the number of items that the coupon limits. For example, if it says, Limit 2, but you buy 5, 2 will be discounted, the registers will automatically charge full price for the other 3 items. These coupon discounts are set PER TRANSACTION. I’m often asked about the usage of multiple Penny Pinchers. Yes, if you shop another day, with a duplicate Penny Pincher, it will clear to your purchase without any problems. We do have a place in our store for swapping coupons. Our members will trade Pennies amongst themselves. I often want extra kids foods, and Other members want some of the cleaning supplies I do not plan to use. We are allowed to trade them at club, or place extra coupons in our swap bins.